When Dmitry Kiselyov, the Russian state television presenter known for his scandalising monologues, announced the opening of the Kremlin’s new website and radio service Sputnik News, he stressed that it would continue the tradition of Soviet propaganda to counter what he called the “aggressive” pro-American bias of the western media. 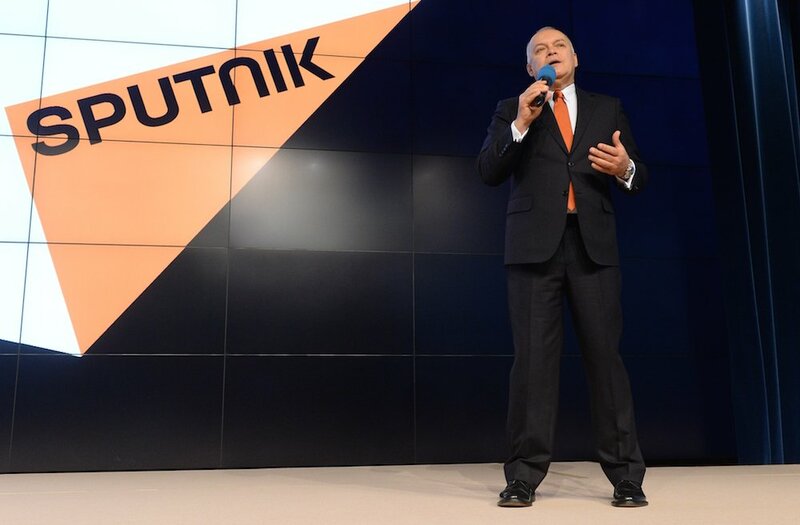 Unveiled as a replacement for the government’s international radio broadcasting service Voice of Russia, Sputnik News primarily differs from its predecessor in sheer size — the new outlet’s content will be produced in 130 cities in 34 countries around the globe, according to Kiselyov. Each Sputnik hub will employ between 30 and 80 staff members, and an expanded team of 100 will reportedly work in the office in the Ukrainian capital Kiev, where a new government that Russian state media decried as a “fascist junta” has adopted an association agreement with the European Union and is fighting a simmering conflict with Russia-backed rebels in the country’s east. “The majority of [Sputnik News] content … will be prepared locally, by local journalists, taking into account local discussions and the demands of the local audience,” Kiselyov said, announcing the changes in November. 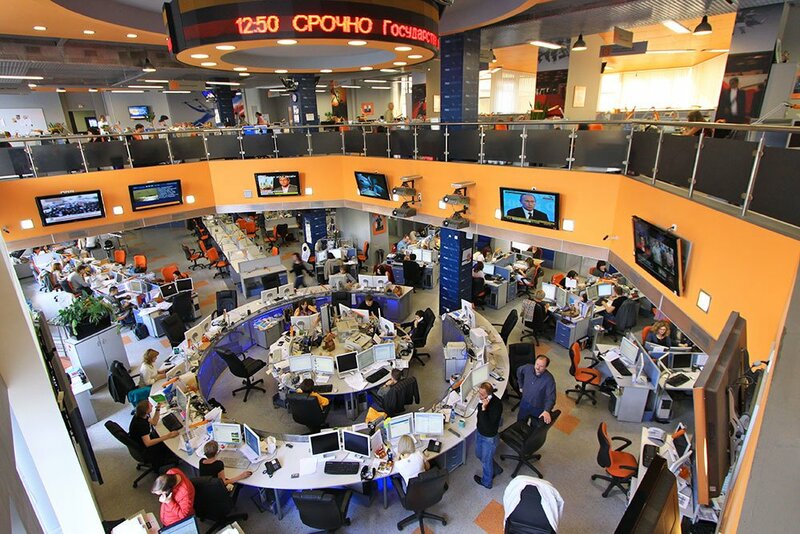 Amid tensions on a scale not seen since the Cold War, the plans for Sputnik News are just one component of the Kremlin’s changing international media strategy. Moscow has greatly increased projected spending for its foreign-focused media outlets for 2015, budgeting $400 million for its RT television channel and $170 million for Rossiya Segodnya, the state news agency that includes Sputnik News and is headed by Kiselyov. The expansion of Russian state media and its increasingly anti-Western content has prompted European Union lawmakers to propose creating a joint Russian-language television channel to provide an alternative source of information. A communications researcher with close ties to the Estonian government also told The Guardian that Estonia’s public broadcasting company plans to launch a Russian-language television channel next autumn to counter pro-Kremlin media. “Free media made according to professional journalistic standards is the best antitoxin to disinformation and propaganda,” said the researcher, who did not want to be named. While some argue that Sputnik News and other Russian media initiatives will promote debate, concerns have also arisen that the “decentralisation” of state media represents a huge expansion of the frontline in what many are calling an information war between Russia and the west. And for some, that front line appears to fall across Russia’s neighbours — the countries of the former Soviet Union — where many have watched events in Ukraine with growing concern. 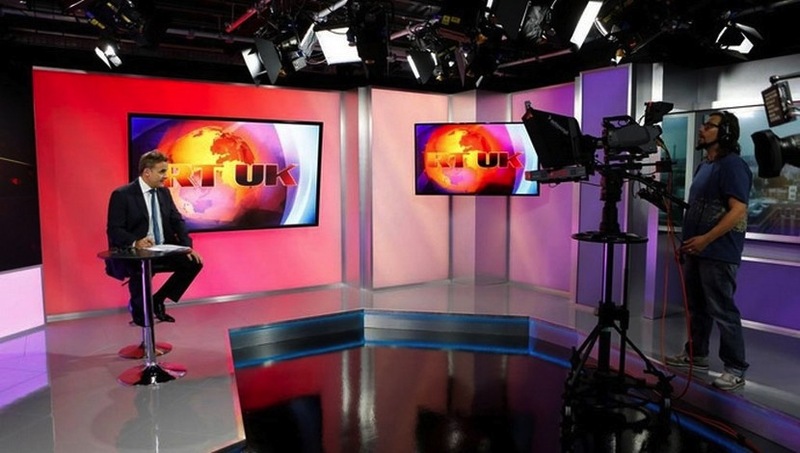 Sputnik News will have hubs in major capitals including Beijing, Berlin, London, Paris and Washington DC, but its offices are especially concentrated in Russia’s near abroad; with the exception of Turkmenistan, all former Soviet republics will host a Sputnik hub, as well the Georgian breakaway provinces of Abkhazia and South Ossetia, which Georgia considers to be under Russian military occupation. Besides English, the Sputnik News website now has local-language versions for Abkhazia, Belarus, Kyrgyzstan, China, Germany, Spain and Turkey. In Tajikistan, Rossiya Segodnya has already been aggressively hiring the “best local journalists and prominent human rights activists, as well as journalists from the western media, with the promise of higher salaries and professional development”, according to the editor of a local independent media outlet who asked not to be identified. Rossiya Segodnya and Sputnik News declined to comment for this article. 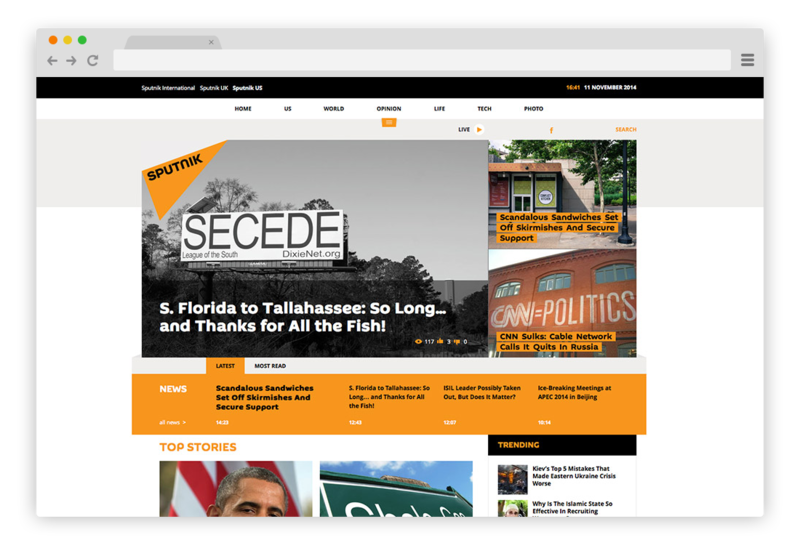 Proponents have argued that initiatives such as Sputnik News are no different than the United States’ long-running Voice of America and Radio Free Europe/Radio Liberty services, which are funded by the US government. But the journalistic standards of Russian government-owned media have been questioned, especially during the Ukraine crisis. Britain’s broadcasting regulator issued a warning to RT in November after concluding that it had “failed to preserve due impartiality” in four broadcasts about the conflict in eastern Ukraine. On Thursday, the National Radio Company of Ukraine announced it was beginning broadcasts in the Russian language that would reach Ukraine and the European part of Russia. Officials in Kiev have said Ukraine is ramping up its foreign broadcasts to improve the country’s image in Russia and Crimea. A recent report on Russia’s “weaponisation of information” published by the Institute of Modern Russia, a New York-based think tank run by the son of former oligarch and Putin critic Mikhail Khodorkovsky, argued that the Kremlin is wielding outlets like Sputnik News to not just persuade, but also to “sow confusion via conspiracy theories and proliferate falsehoods”. In its 85-year history, Voice of Russia — known in Soviet times as Radio Moscow — broadcast in Russian and a variety of foreign languages, but it wasn’t until 2008 that it started broadcasting in some of the languages of the newly independent countries of the former USSR — specifically Armenian, Kyrgyz and Moldovan. Sputnik News, however, will publish and broadcast in 30 different languages, including English and the languages of all former Soviet republics except Turkmenistan, Belarus and Lithuania, according to its website. Its broadcast languages will also include Abkhaz, Ossetian and Crimean Tatar, which is spoken by the Muslim minority whose leaders objected to Russia’s annexation of the Crimean peninsula this year. Pro-Russian media already reaches a huge number of homes across the former Soviet region. In the Baltics, the First Pribaltisky Channel rebroadcasts Russian state-owned Channel One, which claims to reach 250 million viewers around the world. Russia’s population is about 143 million. Unlike the previous generation, however, many young people born after the fall of the Soviet Union in the Baltics don’t learn Russian. Nerijus Maliukevicius, a political science lecturer at Vilnius University who studies Russian media, believes this could partly provide the rationale for Sputnik’s expansion into English and local language programming. “I consider the coming of Sputnik to our region to be a twist in the overall propaganda strategy,” said Maliukevicius. He believes the move indicates that “Russia is worried about the younger generation, the English-speaking generation, and that they would use narratives and techniques similar to RT to gain ground in this segment”. 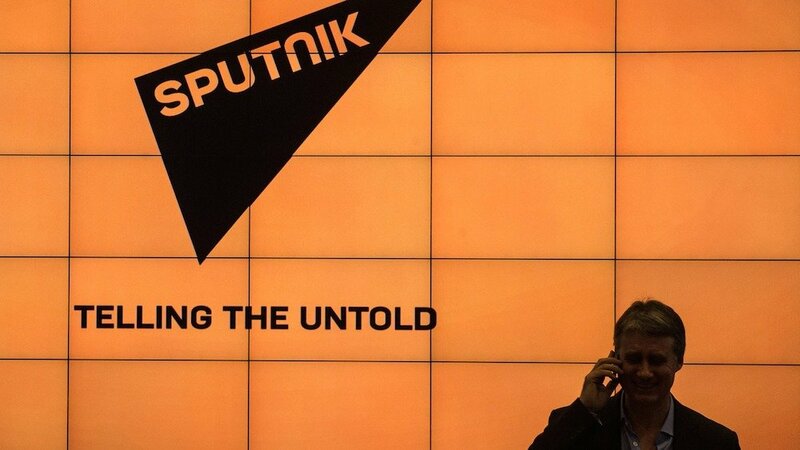 A Sputnik News radio host in Moscow who previously worked at Voice of Russia said the new outlet seemed to be more “politicised”, as are other state-owned media. The host asked to speak anonymously out of concern for job security, since the Moscow office has been cutting staff in departments such as sport, culture and Arabic language. In its first month, Sputnik News — whose tagline is “Telling the untold” — has given extensive coverage to the Ferguson protests against police brutality in the US, criticised policies such as Washington’s embargo of Cuba, argued that Russian gas is the best option for Europe and that France should complete the sale of two Mistral warships to Russia despite international sanctions against Moscow over the Ukraine crisis. 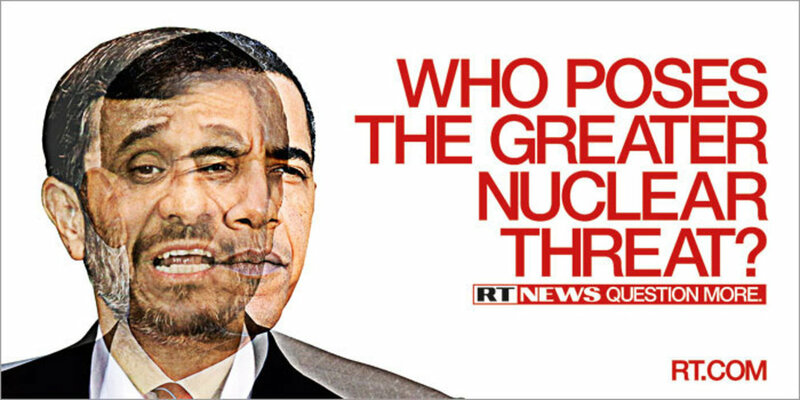 But on its debut, it also featured an interview in which Polish white supremacist Mateusz Piskorski claimed that the United States’ secretly “Trotskyist” foreign policy had grown into a global threat. Concerns about the aims of expanding Kremlin-backed media outlets are especially palpable in Russia’s EU member neighbours, the Baltic states of Estonia, Latvia and Lithuania, which all have significant Russian-speaking minorities, as does Ukraine. Sputnik has not yet begun broadcasting in these countries, but the communication researcher said Sputnik has been setting up a web-based service in Tallinn and is quietly recruiting journalists. The researcher said the website would be especially effective if used as a “source-laundry asset” — putting out viral web stories that would then be republished by local news outlets and on social media. Yevhen Fedchenko, director of the journalism school at the National University of Kyiv-Mohyla Academy, agreed that local-language internet content from Sputnik would be more effective than radio broadcasts. In such a sensitive political climate, there are concerns that Kremlin media outlets could spark tensions between ethnic Russians and national majorities. After signing the EU association agreement, Kiev has toyed with the idea of Nato membership, and the Baltics have welcomed increased numbers of US and Nato troops in recent months, moves that Russian President Vladimir Putin denounced in a recent German television interview. A government poll in Latvia recently found that ethnic Russians are more supportive of Moscow’s position over Ukraine than that of the west. “This agenda to also have an information channel broadcasting in local languages is probably a solution of how to talk not only to the Russians but also to the Latvians and Estonians in Latvia and Estonia, to change their opinions or … get them to ask more questions about things like Russia’s actions in Ukraine,” said Maris Cepuritis, a political science lecturer at Rigas Stradins University who has studied the Russian media. 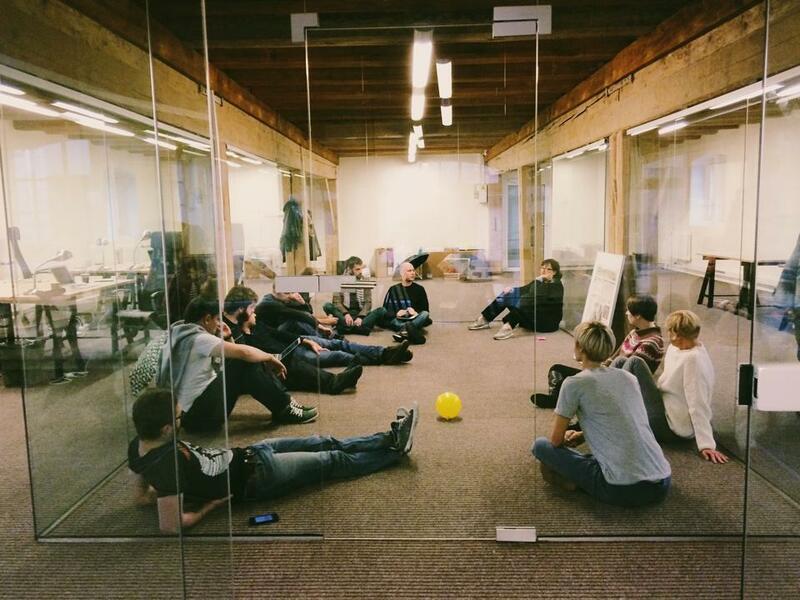 Meduza: can a Riga-based news outlet offer hope to Russia’s independent media? 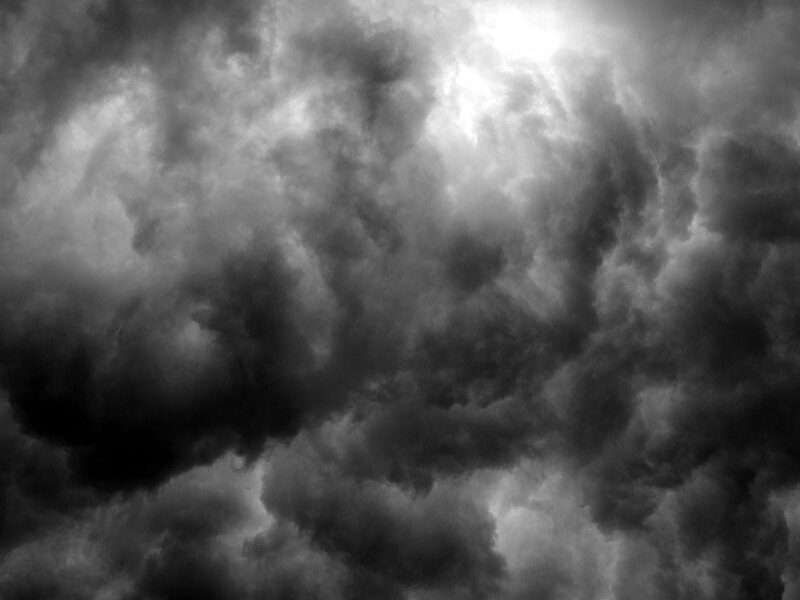 Bad news: what does the closure of RIA Novosti mean for media in Russia?